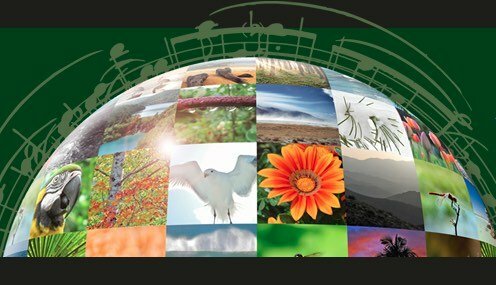 Join internationally acclaimed acoustic ecologist, Gordon Hempton, as we listen to sunrise circle the globe, hear snow melt, whales sing and discover that the Earth is music, clear enough to hum all day. And let’s re-examine our widely held belief that the human ear evolved to hear human speech. We will listen to nature sounds that fit neatly into our peak hearing sensitivity (2 kHz-5 kHz) and speculate about the evolutionary consequences of detecting these sounds over great distances. During modern times with our global environmental crises is it enough to hear ourselves or must we, as a species still subject to the laws of survival, once again listen to what the Earth is telling us. This audio-visual presentation will change the way you look and listen to the world around you. FANTASTIC; great sounds & photos. You clearly have found and nurtured your passion…. Your work is motivating! Beautiful person—wonderful way of helping audiologists REALLY appreciate sound and silence. The presenter was exceptional! He kept my attention throughout the entire presentation. I would recommend his presentations to colleagues. Speaker encouraged us to step back and use a different lens in how we see and experience the world. Very insightful. Whoever landed this guy, nice job! I especially appreciated the pairing of photography with sound, as I am a nature photographer as well as an audiologist. Signup to receive announcements and discount codes.